It’s been almost two years since the UK voted to leave the EU – why was the decision made – and what happens next? Here are some of the key moments. Prime Minister David Cameron says he is in favour of an in/out referendum on the UK’s membership of the EU. The UK Independence Party (UKIP) led by Nigel Farage wins 26% of the vote in European elections and becomes the UK’s biggest representation in the European Parliament. The party, whose one key policy is to leave the EU, also make large gains in local elections. In the general election, David Cameron wins a 12-seat majority with a manifesto that includes the commitment to hold an in/out referendum. The referendum sees Leave campaigners win a narrow victory with 51.9% of the vote against 48.1% for Remain. Mr Cameron resigns immediately as prime minister. Theresa May becomes prime minister. She triggers Article 50 which starts the clock on the process of the UK leaving the EU. Having surprised many by calling a general election, Mrs May loses her majority in Parliament. Northern Ireland’s DUP – led by Arlene Foster – makes a deal with the Conservatives and its votes allow Mrs May to stay in power. Formal negotiations on withdrawal begin between the UK and the EU. Rebel Tory MPs side with the Opposition, forcing the government to guarantee a vote on the final Brexit deal, when it has been struck with Brussels. The EU agrees to move on to the second phase of negotiations after an agreement is reached on the Brexit “divorce bill”, Irish border and EU citizens’ rights. The UK and EU make decisive steps in negotiations. Agreements include dates for a transitional period after Brexit day, the status of EU citizens in the UK before and after that time and fishing policy. Issues still to be sorted out include the Northern Ireland border. The EU’s chief negotiator has said negotiations must be complete before the end of October to give the 27 EU countries time to sign off the deal. MPs will also get to vote on the final deal in the UK Parliament before 29 March 2019. Brexit day – the UK ends its membership of the European Union at 23:00GMT and enters a transition period. 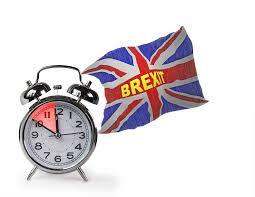 The transition period is due to end and the new economic and political relationship between the UK and the EU to begin.